Northern Vancouver Island contains the vast wilderness of Strathcona Provincial Park, home to Buttle Lake and Ralph River campgrounds and the new 2 km wheelchair-accessible Centennial Loop Trail. The area also has a vast network of backcountry hiking opportunities, the remote tranquility of the Discovery Islands and the family fun seashore of Miracle Beach. Located on the Campbell River, take the time to visit spectacular Elk Falls, the self-proclaimed Salmon Capital of the World. Venture further north to Cape Scott Provincial Park, with over 100 km's of backcountry trails and spectacular white sand beaches. The main access is via Highway 28, which connects with Gold River on the west coast of Vancouver Island. Follow Highway 19 to Campbell River, and then follow Highway 28 west for 48 km. Highway 28 passes through the northern section of the park and provides access to Buttle Lake. On the east side of Quadra Island just a few minutes ferry ride from Campbell River. 27 km northwest of Campbell River. Turn off Highway 19 at the Menzies Main gravel logging road. Follow the Menzies Main for 12 km and then take Morton Lake Road for another 7 km to the park. Road conditions on last 7 km to the park can be rough and better suited for higher clearance vehicles. Between Courtenay and Campbell River off Highway 19A, the Old Island Highway. Hike-in only, located at the northwestern tip of Vancouver Island. The trailhead is located 64 km west of Port hardy via public highways and private, active logging roads. Central Vancouver Island has the world famous towering old growth giants of MacMillan Provincial Park’s Cathedral Grove, the sandy ocean shores at Rathtrevor Beach, spectacular Englishman River and Little Qualicum River falls. On Hwy 4 heading to the west coast of the central island is Sproat Lake, home of the famous Martin Mars water bomber planes. The central island also provides the gateway to Pacific Rim National Park, Barkley Sound and the remote Hot Springs Cove. Stamp River is located off Beaver Creek road just north of Port Alberni. Squitty Bay is located on the east side of Lasqueti Island between the Main Island and Jedediah Island in the Strait of Georgia. 3 km northwest of Port Alberni. The park sits on the north shore of Sproat Lake, and can be reached via Highway 4. 60 km north of Nanaimo and 16 km west of Qualicum Beach on central Vancouver Island. The park can be accessed via the Horne Lake Exit off Highway 19 or 19A. Follow signs for 5 km to Spider Lake. West on Highway 4 just minutes from Little Qualicum Falls Provincial Park. On the Port Alberni Highway just minutes from MacMillan Park (Cathedral Grove). Cameron Lake and Beaufort are both accessed off Highway 4 en-route to MacMillan Park. The park is comprised of 2 sites along the south shore of Kennedy Lake, adjacent to Pacific Rim National Park Reserve. On Hwy 4, 8 km east of the Pacific Rim Hwy/Hwy 4 junction. Situated between Lasqueti and Texada islands in the Sabine Channel of Georgia Strait. Access is by boat only from Lasqueti Island. On Holden Lake, 12 km south of Nanaimo. Take the Cedar Road turnoff from Highway 1 and follow directional signs to the park. Take the BC Ferry from Nanaimo. All day-use areas are accessible by road. 13 km southwest of Parksville. Take Errington Road off Highway 4A, toward Port Alberni. Directional signs are posted on main highways. South Vancouver Island offers many spectacular parks to visit. At Goldstream Provincial Park, you will find massive trees as well as magnificent waterfalls, a meandering river that meets the sea, flowers, birds and fascinating fish; all a mere 16 km from downtown Victoria. On the west coast, Juan de Fuca Provincial Park offers scenic beauty, spectacular hiking, marine and wildlife viewing, and roaring surf in its course along the Pacific coastline of the Strait of Juan de Fuca. Off Sooke River Road, off Highway 4 west of Victoria. Located between Vancouver Island and the Vancouver Mainland, the Southern Gulf Islands make up of over a dozen large islands and a multitude of islets. On Salt Spring Island, visit Ruckle Provincial Park or take in the marvelous views from atop Mount Maxwell. Galiano Island has over 130 different species of birds and includes Montague Harbour Marine Provincial Park, with white sand and shell beaches, a tidal lagoon and towering forests. From ferry terminal, go south on the Fulford Ganges Road to Cranberry Road. Turn left at Mount Maxwell Road. 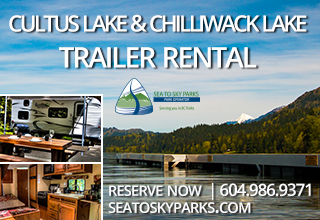 Located on Montague Park Road, SW side of Galiano Island, approximately 10 km from the Sturdies Bay ferry terminal. BC Ferries provides vehicle and passenger service. Three-quarters of the way along the island from the ferry terminal. Access by Cottage Way from Porlier Pass Road. The Sunshine Coast is a short and relaxing ferry ride (www.bcferries.bc.ca) from Metro-Vancouver or Comox-Vancouver Island. 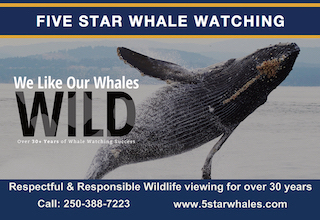 Enjoy sandy beaches, old growth forests, marine life, tidal pools, coves, and tons of family friendly community activities! Porpoise Bay also has a creek and estuary to discover and Inland Lake boasts a wheelchair accessible trail around the entire lake. First Nations culture also thrives on the Sunshine Coast, with historic sites like the seashell middens of Saltery Bay and the Tems Swiya Museum, home to objects and historical artifacts of the Sechelt First Nation. 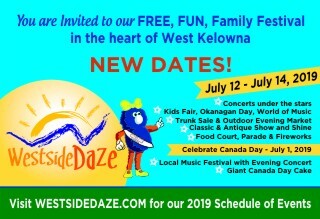 There is something for everyone to enjoy on the Sunshine Coast! Boat access only. Plumper Cover is located on the west shore of Keats Island, across from Gibsons. Marine access - a small anchorage on the south side of Sechelt Peninsula near Secret Cove. Land access - hike 1 km from a parking lot off Hwy 101. 8 km from Sechelt. Off Hwy 101 onto Redroofs Road. Campground - 1 km north of Saltery Bay Ferry Terminal on Highway 101. Day-use area 1.5 km past campground. The Sea to Sky area lives up to its name when it comes to provincial parks. Just a short drive from Vancouver, you can stay at marine parks such as Porteau Cove. Moving inland, visit Alice or Birkenhead Lakes to experience a full range of coastal camping activities. For the adventurous and energetic, you can climb to the sky with a hike at Mount Seymour or Garibaldi Provincial Parks. This area offers hundreds of campsites, seemingly endless trails, lakes and waterfalls, and of course, access to the beautiful Pacific Ocean. On Highway 99, 5 km south of Squamish. Adjacent to Highway 99, 58 km north of Vancouver. On Highway 99, 32 km north of Whistler and 2 km south of Pemberton. 30 minutes from downtown Vancouver. In Howe Sound, on south eastern shore of Gambier Island, 15 km from Horseshoe Bay. Some of the best outdoor adventures are experienced within the Greater Vancouver area. Visit the beautiful Golden Ears Provincial Park or Rolley Lake to boat, swim, fish, hike, bike, horseback ride; the list of opportunities goes on and on. Parks in the Fraser Valley such as Sasquatch, Silver Lake and Skagit Valley offer family friendly getaways within a few hours drive of anywhere in the Lower Mainland. 12 km southwest of Hope at the east end of the Fraser Valley. 11 km southwest of Chilliwack. 16km east of Chilliwack off Highway 1. 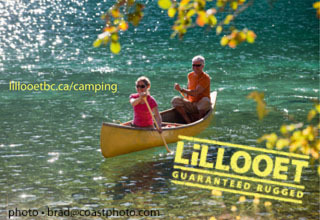 The North Okanagan is fortunate to have many beautiful campgrounds located on amazing lakes. Ellison, Fintry, Kekuli Bay and Mabel Lake all offer some of the Okanagan’s finest camping opportunities. Check bcparks.ca to view impressive photo galleries, park updates and in depth descriptions of what each location has to offer. On the southeast side of Mara Lake, access from Highway 97A. From Highway 1, the park is 12 km south of Sicamous. 16 km from the junction of Highway 97 and 25th Avenue in Vernon. The Manning/Similkameen area features large parks such as Cathedral that are guaranteed to engage the adventurous backcountry visitor but also offers small, quaint parks like Bromley Rock or Stemwinder that provide an ideal base camp to explore the area’s mining heritage. The Resort and main area of the Park is about 70 km from both Hope and Princeton. 21 km east of Princeton on the Similkameen River right off Highway 3. 28 km north of Princeton along Highway 5A. For those looking for a place to swim, to take a boat ride or to relax for a few days, South/ Central Okanagan has everything you need. With several parks situated right at the edge of Okanagan Lake, you are sure to find an ideal spot to fall in love with. There are numerous activities for the entire family including horseback riding, cycling, touring on land and water, rock climbing, wildlife and bird watching, and so much more. 25 km south of Penticton on Highway 97. East side of Okanagan Lake south of Kelowna and north of Naramata. Located 8 to 10 km north of Penticton off Hwy 97. 6 km north of Oliver on Highway 97. 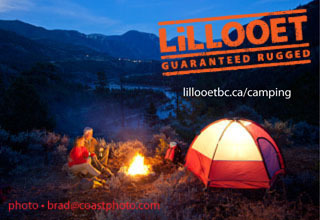 The abundance of camping, outdoor recreation, and wilderness opportunities in the Okanagan/ Boundary Region is limitless. Whether you are looking for biking, hiking, swimming, fishing, river floating, kayaking or just some rest and relaxation, you’ve come to the right spot! This region offers incredibly diverse camping opportunities and boasts incredible parks for you to enjoy. The Boundary Region is one of BC’s premier locations that offers popular family campgrounds such as Kettle River and Texas Creek. Be sure to stop in at some of the hidden gems in this neck of the woods; tranquil destinations such as Conkle Lake, Jewel Lake, and Johnstone Creek are waiting to be discovered! Explore BC Parks in the Boundary Region; you’re sure to find a spot that you’ll fall in love with. 12 km from Highway 3 east of Greenwood. 20 km northeast of Grand Forks on Highway 3 at the north end of Christina Lake. The best access road is off of Highway 3 about 6km east of Bridesville. Follow Johnstone Creek Road for 25 km to the park. It is a maintained gravel road and takes approximately 40 minutes from the highway turnoff. Other access points off of Highway 33 and from OK Falls are not well marked and are unmaintained forestry roads that are not suitable for vehicle traffic. West Kootenay region parks offer a myriad of amenities and activities to suit any vacationer. Martha, Blanket and McDonald Creek parks offer a holiday destination for relaxed family fun. Arrow Lakes and Summit Lake are popular for boating and fishing. Rosebery is closely located to the historic Galena trail for your mountain biking adventure. Check in to Kokanee Creek, an ideal base camp for those wishing to explore the area’s long mining history or pay a visit to the most family friendly backcountry park, Kokanee Glacier. For the climbing and mountaineering enthusiast, the area is bursting with opportunities such as the awe-striking Valhalla Provincial Park. 7km southeast of trail, 8801 Highway 22A. 17 km north of Revelstoke on Hwy 23. 24 km south of Revelstoke on Hwy 23. Access to this campground has never been better with an additional 42 new sites and two reservable group use areas for large group gatherings. 50 km south of Revelstoke on Highway 23 South, along the shores of Upper Arrow Lake Reservoir, close to the Shelter Bay/Galena Bay Ferry. 19 km northwest of Castlegar on Broadwater Road. About 4 km west of Nelson on Highway 3A along the Kootenay River. 3 km north of Ainsworth on Hwy 31, off highway on 10 km gravel road. East Kootenay region offers a treat for the nature lover. Parks such as Premier Lake and Mount Assiniboine, with the abundance of wildlife viewing opportunities, never fail to captivate visitors’ imaginations. Perhaps, stop over at sunny, family-friendly Kikomun Creek Provincial Park, the vacation haven of Moyie Lake or one of several smaller, easily accessible parks. Or, for the history buffs, the area also offers a step back into the 1890’s to the pioneer boomtown of Fort Steele Heritage Town. 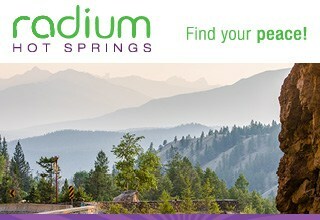 4.5 km south of Radium Hot Springs off Highway 93/95. Wells Gray Provincial Park is world-renowned for its amazing scenery, pristine wilderness and outdoor adventures. Home to Helmcken Falls, a waterfall three times the height of Niagara and Murtle Lake, North America’s largest canoe only lake, Wells Gray is a must visit on your trip to the Thompson Region. 10 km north of Clearwater on Clearwater Valley Road. Access off Highway 24 at Bridge Lake or Highway 97 at 100 Mile House. Along the best-known access route into Wells Gray Park from Clearwater; 65 km from information centre on the park road. The Thompson Region’s geodiversity is striking. Near Merritt, you will find desert oases and carved rock canyons, as well as numerous great rock climbing areas. While you’re there, hike the old Cariboo Wagon Trail for a taste of the region’s interesting history. The area offers fantastic kid friendly fishing holes too! 19 km east of Cache Creek on Highway 1, on the north shore of the Thompson River. The Thompson River and Shuswap area is a boater’s paradise. 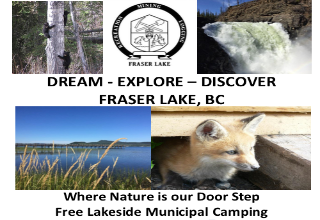 Shuswap Lake Provincial Park allows access to the extremely popular lake as well as boat accessible Copper Island. For those who are land based, the area offers fantastic hot weather, beaches and various outdoor, family friendly activities. 10 km northeast of Highway 1 from Balmoral (west of Salmon Arm); the last 2 km on a logging road. Water access only with launch facilities located around Shuswap Lake. 3 of the areas have vehicle access as well. On both sides of the Adams River, 5 km from Highway 1 at Squilax. Up 8 km of gravel road, northwest from Highway 1 at Chase. 14 km west of Salmon Arm on Hwy 1. In the Kamloops area, sandy cliffs and dry arid rolling hills provide an ideal playground for mountain bikers and ATV enthusiasts. While visiting Kamloops, drop by the BC Wildlife Park, showcasing the best of the region’s indigenous wildlife including Grizzly bears, cougars, lynx, and Burrowing owls. 25 km south of Savona or 16 km north of Logan Lake on the Tunkwa Lake Road. The Cariboo Chilcotin Coast was discovered during the gold rush a century and a half ago and offers visitors a true “Wild West” experience. The region is built for exploration and discovery. From lazy days in the saddle to the chance to make your own little gold strike, set up camp at one of the region’s spectacular provincial parks and let the adventures begin!T he Cariboo has the world-renowned Bowron Lake Canoe Circuit, Barkerville Historic Town and a section of highway known as the “fishing highway” (Highway 24 between Lone Butte and Little Fort). The road has more than 100 lakes within an hours’ drive. Set up base camp at Bridge Lake and Green Lake to experience this region. The Chilcotin stretches west beyond the Fraser River to the peaks of the Coast Mountain Range. Visitors can hike beyond the trails, fish in isolated lakes and raft thrilling whitewater. Don’t miss the volcanic mountains of Tweedsmuir (South) Provincial Park, one of B.C.’s last truly great wilderness areas. The park has enough access points to make it worth the trip for even the average outdoor enthusiast. The Coast offers adventurers wanting to get off the well-trod beaten path over 15,000 km of awe-inspiring coastline scattered with coves, inlets and rocky shores. The Coast has some of the world’s best saltwater fishing and wildlife viewing of sea birds, whales and porpoises. 8 km west of Quesnel on Pinnacles Road. On Highway 97, 13 km north of Lac La hache. 18 km southwest of Clinton off Highway 97 turn at Kelly Lake Road. 6 km west of Alexis Creek, off Highway 20. 51 km east of 100 Mile House, along Highway 24. 42 km northwest of Clinton on Highway 97 (34 km gravel). The Terrace/Prince Rupert area is truly a fisherman’s paradise. Millions of salmon return to the Skeena River each year and northern lakes and rivers team with trout, char or grayling. The area is also home to the Kermode “Spirit Bear.” Lucky visitors may get a glimpse of a Kermode on highways or back roads around Terrace. So take your time through the region and watch out for bears! First Nations communities welcome visitors to the villages that have been their home for hundreds of years. Several communities have interpretive centers such as the BC Parks Visitor Center in Nisga’a Memorial Lava Bed Provincial Park. It showcases Canada’s most recent volcanic eruption and is the meeting point for the Crater Trail hiking tour. 20 km south of Terrace and 40 km north of Kitimat on Highway 37. 15 km east of Terrace’s Hwy 16 and Hwy 37 junction. 50 km west of Terrace. 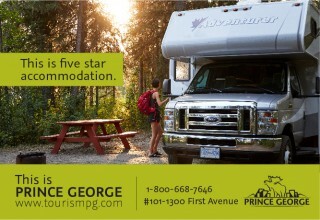 The provincial parks located along the Smithers/Highway 37 are perfectly placed to accommodate the traveller on the move. No matter how much or how little you wish to roam between camping destinations, there will be a hidden gem awaiting your arrival. Wildlife viewing is a popular activity throughout this area, with grizzly and black bears, mountain goats, mountain sheep, and more. Keep your eye out for a glimpse of nature at its best. Access by boat on Ootsa and Whitesail Lakes are main access routes to the park area. Park is between Burns Lake and Houston. 153 Km north of Highway 16 /37 Junction and 1 km south of Highway 37 / 37A Junction. 208 km north of Meziadin Junction (Highway 37 / 37A). Naikoon Provincial Park on the Queen Charlotte Islands is the province’s most westerly park, and offers a unique experience to hike sandy beaches, view spectacular sunsets or to brave an occasional storm. View the natural forces that have shaped this archipelago, or you can go there to just relax and get away. 2 km east of Agate Beach Campground. 45 km north of Skidegate. 12 km north of the Tlell River Bridge. Branching Highways 16, 27 and 97 offer nature enthusiasts a wealth of wildlife viewing opportunities. The Fraser Plateau accounts for nearly half of the entire region. It is a comparatively flat-forested area with numerous lakes, small streams and marshlands. It is known as the heart of moose country. From spawning salmon to roaming moose, you’re sure to experience nature at its best. Be sure to keep your camera handy, as you never know what you will come across. Crooked River Provincial Park lies within the Fraser Basin and contains three beautiful lakes within this 970-hectare park. The centre of activity for this park, an hour drive north of Prince George, is beach-fringed Bear Lake. The fine, sandy beaches are some of the best in the region and popular with swimmers and sunbathers. 145.7 km north of Prince George via Hwy 97N. 40 km northwest of Prince George off Highway 97 onto Chief Lake Road for 27 km. The Omineca Region boasts the majestic Omineca Mountain range to the north, and to the east, the terrain rises to the highest point in the Canadian Rockies, Mount Robson. Mount Robson Provincial Park, established by a special act of the British Columbia legislature in 1913, is the second oldest park in B.C.’s park system. It was designated part of the Rocky Mountains World Heritage Site in 1990 by the United Nations Educational, Scientific and Cultural Organization (UNESCO). The hiking trails in scenic Mount Robson Park are a popular destination, from the extreme backcountry enthusiast to the casual day hiker and attracting climbers from all over the world. Mountain biking is also popular and the Berg Lake Trail is regularly shared by mountain bikers, hikers and backpackers. Winter adventure is prevalent. There are four designated cross-country ski areas to choose from with miles of groomed, well-signed trails. On Hwy 16, 11 km west of Mount Robson Provincial Park’s west gate. The impressive Rocky Mountains and their foothills dominate the North Peace, comprising roughly 8 million ha (20 million acres) of land. The Northern Rocky Mountains are the largest roadless landscape south of the 60th parallel, as well as one of the richest and most varied intact large wildlife ecosystems remaining in North America. As a treat for the weary traveller in this area, visit Liard River Hot Springs for a relaxing dip in a beautiful natural setting. Km 595 on the Alaskan Highway, 140 km west of Fort Nelson. Km 681 of the Alaskan Highway. The South Peace region consists of gently rolling plains and golden wheat fields. This beautiful landscape surrounding the Peace River is more similar to the prairies than the rest of the province. Lakes and rivers, and mountains are scattered throughout the region and offer some of the most beautiful stretches of highway in British Columbia. With its unique scenery and vast resources, the South Peace District prides itself on standing out from the rest of British Columbia. 25 km northwest of Chetwynd off of Highway 29.